Tony Robbins – Entrepreneur, Best-selling author, Philanthropist, #1 Life and Business Strategist. Bestselling author and self-help guru Tony Robbins is at the top of charts again, with his latest book, Unshakeable, currently at the top of the New York Times bestseller list, and the Amazon charts as well. You might know Robbins from his previous motivational bestsellers that launched him to prominence, Unlimited Power, Unleash the Power Within, and Awaken the Giant Within. In addition to his talents as an author, Robbins is an accomplished businessman, a renowned philanthropist, and the kind of speaker who can attract droves of eager attendees. But he didn’t start anywhere near his current motivational rockstar status. And long before he became a financial guru, he was penniless. Born about 30 miles east of Los Angeles, in dusty Azusa, California, Robbins’ formative years were tough. “I grew up dirt poor,” he says. “We had no money.” Having had to move out of the house at just 17, Robbins skipped college and started his working life sweeping floors as a janitor. But instead of wallowing in TV and booze during his time off, Robbins would instead read voraciously. He made up his mind that he was going to be a millionaire, and started saving. Robbins has released his first bestselling book. Since then, he’s topped the charts many times, and these days, the proceeds are donated directly to feeding undernourished people around the globe. He anticipates that Unshakeable will feed upwards of 1 million individuals, and that in the next seven years, more than 1 billion people worldwide will have been fed from his book earnings and other sums he’s donated. As Tony Robbins shares his incredible story, he reveals some of the insights he has learned over the years, in particular those he’s learned from financial superstars, as detailed in his new book. Robbins feels strongly that the secret to good living is giving. So often, people who have spent all or large parts of their lives working to achieve their goals are surprised to find that after achieving them, they remain unsatisfied. This is because they haven’t really fulfilled their inner needs to grow as individuals, and because a big part of that personal growth comes from helping others. “When you make progress, when you grow, you have something to give. Drawing on his own business expertise, and on that of 50 of the top businessmen in the world, Robbins has written this new book in an effort to show people how to achieve real business success, but beyond that, how to be happy once they’re reached a life of financial security. Part of that “emotional wealth” involves letting go of all the stressors in life that can simply make you miserable, and completely negate the happiness you thought you would gain from financial wealth. At the core of the book’s message is the philosophy that you have to pursue your goals with a single-mindedness of purpose, such that you cannot be deviated from your path, no matter what happens along the way. As it pertains to business and investing, Robbins points out that many people are missing out on unbelievable opportunities because they don’t recognize truth in the world of finance. Since the US is now in the eighth year of a bull market (when stock prices are rising), and there has only been one bull period that has lasted longer than this, it would seem logical that a downturn, or even a crash, is on the horizon. If a crash should occur, Robbins says, you need to recognize this as an opportunity rather than a disaster. When stocks crash, there is a scramble to sell everything, often well below its true value, and that represents opportunity for the fearless investor. The stock market goes through periodic “corrections,” which involve a total devaluation of perhaps 10% or thereabouts, and they occur fairly regularly, to keep stock prices in line with their true values. Crashes on the other hand, may only occur every five to 10 years, but can involve a devaluation of anywhere from 30% to 50%, or even more. None of these are events to be feared, says Robbins, because no one actually loses money on their holdings unless they sell at devalued prices. And why should you hold on to stocks during the selling panic of a correction or a crash? Because every single bear market (when share prices are falling) in the history of the stock exchange has been followed by a bull market. What prevents investors from acting on these opportunities boils down to one thing—fear. One shining example actually occurred very recently, in fact. When Donald Trump was elected president, the stock market dropped 900 points overnight, and many investors rushed to sell. Those who recognized that a correction would be imminent did just the opposite and invested heavily, and they were rewarded by a very strong market correction within days of that huge drop. New businesses are notorious for gobbling up all cash reserves that an owner might have on hand, and as a result, there is never anything left for that owner. Robbins recommends applying a kind of “tax” on your business, or a set amount that periodically gets set aside, simply for the purpose of investing. That brings into play the enormous power of compounding earnings, and gives you a chance to experience real success, completely separate from the ups and downs of your business ventures. One of the great hidden principles of finance in Robbins’ view is that of compounding your assets. That’s why people like celebrities and well-paid athletes often invest large sums of money in various business ventures, but still end up broke 10 or 20 years later. A much less spectacular approach, which calls for setting aside money regularly, and allowing it to be compounded over time, yields enormous returns over the course of a decade or two. It earns money for the investor, even while they are sleeping or paying no attention as it that money works for them silently in the background. Increasing income is never really the ultimate answer to building wealth for most people, simply because they then spend more money than they did before, and all that extra cash is consumed without materially advancing you toward your goals in life. By locking away a specific amount of money that accumulates, and is not subject to any other uses, your goals can eventually be met very satisfactorily. The best way to do this is to automate it—make it something that happens regularly and out of your sight—so that it does not require any effort or manual intervention on your part. As soon as you possibly can, begin setting aside a personal “tax” amount from your company, so as to be sure money is saved for your future, and you gain the benefits of compounding money. Be fearless or “unshakeable” about jumping in on an opportunity, and recognize when these opportunities present themselves. To truly be happy with yourself, as you acquire more and more, make sure to give to others, which will satisfy the inner need that having more money never will. Nathan: Hello, and welcome to another episode of the “Foundr Podcast.” My name is Nathan Chan, and I am the CEO and publisher of “Foundr Magazine.” Just wanna say thank you so much for taking the time to listen to this podcast. We interview some of the greatest entrepreneurs of our generation, some of the greatest founders of our generation. And boy, you guys are in for a treat. 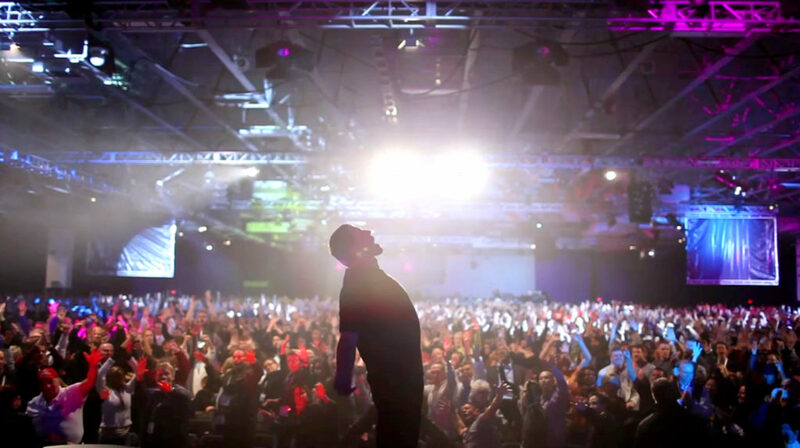 We are speaking to the one and only, Tony Robbins. Now, this guy, he doesn’t even need an introduction. I’m just gonna leave it at that. I actually flew to New York to interview him in person, and wow, talk about game changing moments of my life. To think back to that, you know, four and a half years ago I was stuck in a dead end job that I absolutely utterly hated, fast-forward to now, interviewing people that are just so the top of the game, just so influential, run multibillion dollar companies, someone like Tony Robbins. It was a real privilege and honor, just to reflect on how far I’ve come and I guess, just be grateful. You know, showing gratitude is really, really important because I’m trying to push and grow Foundrs fast and as hard hot as I can. You know, I have some very big dreams and goals. I want this brand to be a household name entrepreneurial brand for founders and entrepreneurs. I want our content consumed by tens of millions of people on a monthly basis. You know, sometimes things don’t work, and sometimes it’s easy to forget how far we’ve come on the journey, so I encourage you guys to take some time out to reflect. I know things might not be working, it’s just part of the journey. Just remember where you were, just ask yourself, if things ever get tough, ask yourself and think back well, wait on a second, where was I two years ago? And compare yourself to now, and I promise you, you’ll feel better about it. I promise you, that thing that’s making you super frustrated or stressed out, won’t be as bad is it may seem. All right, so few little updates before I get into talking about today’s episode with Tony. The first one is we’ve just launched our first course, taught by an instructor, which I’m super pumped about. You know, as I’ve mentioned on previous episodes, we’re gonna have hundreds of courses on our platform, super in-depth, taught by influential entrepreneurs and founders. It’s only the beginning to build out this platform. Greta, who was the previous episode, make sure you check that out, 149, she’s teaching how to start and scale your own online store. She’s the head instructor. This solves a very, very deep problem that a lot of our audience have, where people wanna know how to start a business, but don’t know where to start. She teaches a proven framework, it’s the framework she’s used to launch four multimillion dollar e-commerce brands. You also get to be part of a community, as well, that supports you, so it’s a perfect fit if you wanna start an online business, or you have an online store but it’s not doing as well as you’d like, and you’d wanna learn from a master. So you can check that out by going to foundrmag.com/ecommerce. Now, today’s episode with Tony, fantastic, amazing conversation. We talked about some really key things about building your personal wealth as an entrepreneur, and where you should be spending your money when you are making it, and also about his investing and money-making system on how to accrue and build wealth personally, and also within your business. Absolute game changer. This is recommended listening for any entrepreneur, or founder, or even an aspiring founder, an entrepreneur. You guys are in for an absolute treat. Tony did not hold back. He’s a knowledge machine. It is my privilege and pleasure to bring this awesome, amazing, interview to you. All right, that’s it from me. Now, let’s jump into the show. Today we’re speaking with the one and only, Tony Robbins. Number One New York Times Bestselling author, number one life and business strategy coach. We’re gonna talk to him today about his latest book, “Unshakeable.” Thank you so much, for taking the time, Tony. Tony: Nice to see you in person. We talked on the phone once before. Nathan: I know. It’s great to connect. I have to say I read the book yesterday. Nice, short, book. Amazing. So much gold in there. Tony: I’m so glad you love it. Yes, it’s much shorter. My last book was 700 pages. It was also New York Times number one bestseller. We’re number one New York Times bestseller today, number one in Amazon, and number one in Barnes and Noble. By the way, if you get the book, I talked to you about the book today, but we’re gonna feed another 100 million people. I fed 100 million people out of the first book. Tony: I fed 100 million people last year, we’re gonna do it again this year. We’re gonna feed a billion people over the next seven years. Nathan: Yeah, that’s amazing. The secret to living, is giving. Tony: Is giving. You got it, man. Nathan: You told me that was the best piece of in advice you gave me when we last spoke. Tony: I’m glad. It sounds corny, but it’s really true. If you look at what makes people happy, it’s really two things, it’s progress. Like even, you achieve your goals and oftentimes, people achieve their goal and then they go, “Is this all there is?” It’s because it didn’t meet their deeper needs. Our need is the keep growing. You know, business is growing or it’s dying. A relationship’s growing or it’s dying. So if you’re feeling like you’re not even there but you’re making progress, it feels alive, because we all grown and die. And then when you make progress, when you grow, you’ve got something to give. I really think that’s what makes people most happy. I even talk about it in the book at the end, after showing how to make all this money from the best investors in the history of the world, 50 of the best, I said, “I don’t want to be remiss if we tell him that, because money just makes you more of what you are.” So if you’re mean, you got more to be mean with, if you’re giving, you got more to be giving with. And I wanted people to have that emotional wealth besides the financial, so the last chapter teaches you the tools to let go of the things that stress you out, because you know, you can be a billionaire and still have the lousy life. I’ve interviewed some of them quite frankly that I wouldn’t want their life, and it’s because they live in a state of stress, or pissed off, or frustrated. I always say, there’s nothing worse than an angry rich man, or an angry rich woman, you just wanna smack them, because they have so many opportunities. So this book will show you how to make the money, and how to become financially free, and eliminate the fears, but it also really shows you what does it take so you have extraordinary life. Life on your terms. Nathan: Gotcha. So let’s talk about the book, what does it mean to be unshakable? Tony: To me, that’s really a place where you have such certainty about what you’re gonna do and how you’re gonna do it, that no matter what shows up, it doesn’t stop you. It’s not that you don’t feel any fear, you fear less. And fear less doesn’t mean you don’t feel fear, you feel the fear, but you do it anyway, because it’s not overwhelming fear. What stops the fear is the truth. Truth sets you free. So the metaphor I use in the book, many people I’ve met have heard of the old Sufi metaphor, you know, the guy is walking down the path at night time. He sees a snake and runs the other way. Comes back the next morning, and sees it’s a rope. Once you know it’s a rope, day or night, you don’t get scared. That’s what I wanted to do for investing, because most people around the world, most individuals, are not benefitting from the greatest economic opportunity in their life. I wrote this book specifically because I wanted people to feel like it doesn’t matter what the economy does, it doesn’t matter what happens to real estate or stocks, my family is gonna be prosperous. Not based on enthusiasm on a first time thing, it was based on a plan that works. Because here’s what you need to know, here in America, this is the, today is the anniversary of the bull markets, the eighth birthday of it. Tony: Now, it’s the second largest bull market in history. There’s only one gone longer, it went nine and a half years. So you don’t have to be an idiot to figure out that we’re in unique territory, and at some point, this thing is gonna take a crash. But here’s what’s true, it’s your opportunity to clean up when it crashes, because things go on sale. What I teach in the book is if you’re feeling worried about the market, you’re gonna be worried the rest of your life, because every year since 1900, 116 years, we’ve had a correction. And Ray Dalio, the single greatest hedge fund manager in the history of the world, provided more returns for investors than any human alive, dear friend of mine. He was at Davos and, you know, people of the financial world know him because he manages country’s money. So they went to NCDC and said, “What do we do?” and he said, “Look, I don’t know this is a crash, it looks like a correction to me. But if you wanna know what to do so you don’t worry, read Tony Robbins’ book.” Because I taught him these key principles I’ve taught no one else, and things went crazy. So corrections happen. Eighty percent don’t become a crash. When does a crash happen? About every five years. Crashes usually last a year, on average. Some are longer, some are shorter, just like winter. Some are long, some are short. Crashes usually 33% on average, but they can go 40% or 50%. But you don’t lose a dime if you don’t sell. The market has never taken a penny from anybody. Your fear is taking money from you. So if you member 2008, and here’s what I want you to know, so every single bear market so everybody is clear, becomes a bull in the history of the United States. Every single one. So 2008, gut check, oh my God, worse since the depression. You know, our market dropped 50% from peak to 12. But what happened starting on this date, March 9th, for the next 12 months, explosion upward, 69%. Not five, not 10, not…70%. So if you didn’t sell you’re in great shape. And if you stayed in the market, everybody is like, “Oh, the market’s up to high.” It’s up 250% since that time. It’s up 14% since Donald Trump got in office two and half months ago. So the secret is get in the game. Now, why don’t they? Fear. So here’s how I’ll tell your viewers right now that might start to help them. I just recently spoke at the J.P. Morgan Alternative Investments Conference, where you’ve got to be a billionaire to get in. Four hundred billionaires. Richest, smartest people in the world. And I got to speak there. I thought that J.P. Morgan did a cool study, and here’s what it was. Over the last 20 years, the stock market has produced in the United States, an 8.2% compounded return, the SAP 500. If you miss because you’re trying to time the market, you’re saying, “Oh, it’s kind of high right now. The valuations are high. We’re overdue for a crash, I’m gonna hang on to my cash.” And you do that. If you miss just the 10 best days, trading days, in the last 20 years, instead of 8.2, it’s cut in half so you’ll only make 4.5. If you miss the 20 best days, that means only one day a year that you’re out of the market, then go, “Oh, I don’t know if I wanna do this right now. I’m not really comfortable.” One day a year in 20 years, and it’s the best trading days, you made 2%, 2.1%. You might as well had a bar with no risk. And if you missed the top three trading dates, one and a half days out of each of those 20 years, you made no money even though you’re in the market for 20 years. And you know what’s crazy, 6 of the 10 best trading days happen within 10 days of the worst trading days, where everybody gets scared and gets out. When Donald Trump and the stock market, no one expected him to win, and boom, it dropped 900 points that night. I nearly called my IRA and said, “We’re gonna put this big addition chunk in right now because this is an overreaction into a crack,” so I made a fortune in the last two and a half months because I wasn’t shacked, because I wasn’t fearful, because I understood the real patterns of the market. And you don’t have to be a genius. You can read this in four hours, get a game plan, and then all you have to do, and you go back to your life, because once you put the game plan in place, you don’t wanna look at it every day. This is the long term. You’ll rebalance your accounts, I’ll show you how to do that, once a year. Or, my co-author is a guy named Peter Mallouk. Peter is, I decided to partner with him because he’s a genius. He’s the only man in history, here in America, to be named by Barron’s to be the number one wealth manager for three years in a row. No one’s done that in history. He did it two years in a row at CNBC, and Forbes came out with their first list this year, and he’s number one. He made so much money for his clients he now does $23 billion dollars in assets. The man is not an advertiser or marketer, it’s all word of mouth. So I joined him a year ago, again, if you decide to do something with him, know that I’ll benefit from it as well. I’m not looking to benefit, but I will. But the bottom line is he had $17 billion assets, in the last year, we brought to 23. Tony: He’s the best of the best. So you get the best of what I know, the best of what Peter knows, and if you want, you can go to getasecondopinion.com. He normally provides all these resources for billionaires and millionaires. I got him and said, “If I’m gonna partner with you, I wanna help the average person.” Now, I know you can’t help somebody who has nothing, but at least $100,000 instead of a million, and that’s what he does now. He’ll make a plan for you, and if you wanna be a client, he’ll charge you, I think it’s 1% or less. His average is 85 basis points. Or you can go do it yourself. It’s our way of giving back. Most people want someone to be able to do it for them, but you can do it for yourself just as easily as well. Nathan: So, after reading the book, one thing that I’ve been dying to ask you is, you know, I’m an entrepreneur, I put pretty much all of my funds into my business, what should I be going all in on? Millennials that are starting businesses, like many people in our community, they’ve gone all in on their business and they’re sacrificing profit for growth, so they don’t have that much spare change. What’s your advice there? What are your thoughts? Tony: I’m really glad you asked me that question, because every entrepreneur I meet, I have this conversation with one on one, people that are my friends. I do it in my business and seminars too, when I show people, I do business boot camps. I spend five days with them on how to grow the business 100% plus, and then I take a half a day and show what to do to have a second base. So here’s what I’d say to you if you’re a founder out there, or if you’re somebody starting an organization. The amount of money that you get, whatever cash you have, if it’s a growing dozens, will always be eaten up by the organization. So a friend of mine, Ken Blanchard, he wrote “The One Minute Manager” books, you may have read years ago. I met him 30 years ago and I helped him take five strokes off his golf game so he thought I was God. And I don’t play golf, I just know what to do here and here with somebody. So afterwards he goes, “I wanna do something for you.” I said, “Look, you don’t need to do anything.” About two months later, he calls me and says, “I wanna have lunch with you. I wanna give you a gift.” He said, “I wanna share with you the best financial advice that changed my life.” So what is it? He said, “This very wealthy friend of mine saw I was writing a book, and he saw I was growing my business, and he said, ‘I wanna tell you something. A business…'” he said what I told you earlier, “Will take whatever cash is there.” Because a growing business, there’s always needs. He said, “Tony, I took his advice, and then I went through three different stages where we almost went bankrupt in the business because I had so much cash and money, I wasn’t stressed. So I was able to keep my head straight and run my business better.” Because if you think about it, and I did that too. I did it with my first books, and now I give away all the profits of my books. My first books and my first informecials. Tony: I work, you know, 275 days a year on the road, I never earned as much as I did by the compounding, because compounding changes the game. So what you have to do if you’re a business owner, you have to get yourself where you say, I’m gonna put a tax on my business. Not the government tax, my tax. My future self is gonna be free forever, because look, in business, 96% of businesses don’t make it in 10 years. I’m sure all of yours will, but even the 4% that make it, aren’t necessarily profitable. And the reason is because government can change the rules, right? Taxes can shift radically and affect it. Client shift their preferences. Technology, new competition. His son goes, “Come on dad, eight years, $300 a month, what is that?” He does the math and he goes, “That’s $28,000, you know, over a year is $28,800. Twenty eight thousand, eight hundred, how’s that gonna do anything? Especially if I don’t have any more money after 27 years old.” He goes, “Let me show you something. The market’s gone up 10% over 30 years. Let’s apply a lower number, let’s do 8%, be conservative.” Let me show you what the numbers are when they compound, you know how much he has when he retires? $1.8 million, and all he put in was $28,800. See, people think they wanna get rich by doing this big hit. Look at all the actors, all the athletes, all the movie stars, that you’ve seen that made more money than God, and now they’re bankrupt because they made money in income working, but they never figured out how to make money work for them while they slept. They never made money their slaves. So if you look at like 50 Cent, he made $100 million on Vitamin Water. Someone gave him a tip, and he went bankrupt. Or right now, I don’t know if it’s really gonna happen, but the newspapers are speculating now, you know, Johnny Depp is going through this divorce, he made three quarters of a billion dollars, $750 million, and they’re saying he may go bankrupt now he’s gonna give up half in his cash position. He spends $30,000 a month on wine, and he took Hunter Thompson, the reporter, and burned his body and paid three million to blow his ashes for the atmosphere. So you can mess up, no matter what you do, or you can take a small amount of money and just consistently invest it, and you’ll get where you wanna be financially. Nathan: That’s one thing I like where you said in the book, you can always, you said something around you can always raise your income, but you’re not gonna get ahead. Nathan: Can you rephrase it? Tony: Well, yeah, because you can grow your income, but what do most people do when they grow their income? They spend more. Tony: I’ll get a cannon, you know? I’ll get more wine. And, you know, me, I bought an island when I was really young. I was like, you know, if you wanna… I thought I was making a lot of money, buy an island. Suddenly you got financial pressure again, right? So it’s the nature of people with income they earn to spend it. But when you develop the discipline of a part of your life where you say, “There’s a portion of my income that no one’s gonna get. Not Kate Spade, not Tesla, not the Gap, nobody, that money is staying here for my family to grow.” When you lock that in place, and again, the key is automating it. If you have to do it manually, you won’t. But if you never see it, it will become a pattern and you’ll be able to build. And that’s really what it’s really all about. Nathan: So founders, can you give a percentage on, you know…? Tony: Yeah. Really, the ideal number is in the 20% range. Now, most founders are gonna look at me like, “Are you insane? I take every dime I got?” So the minimum, ideally, would be 10, to start, and then build it to 15. Tony: But there’s a cool… You know, I interviewed all these Nobel Prize guys as well as all the self-made billionaires, and one of them was a man named Shlomo, was really brilliant. He said, you know what, people don’t invest because a) they say, “I can’t, I don’t have the money.” But you know we’re all good at dieting tomorrow. “I’m gonna go on a diet tomorrow.” We all believe it. Or, we’ll all go to saving tomorrow. We’re not gonna save today because we wanna spend the money, but we’ll save in the future. So he said, “I took that pattern and figured out a strategy.” And he proved it worked in the Midwest United States with blue collar workers who’d never saved a dime. He went and said, “I know you say you have no money. Ideally, you can save at least 5%, but minimum, promise me 3.5%, because no one is gonna miss 3.5% just that easily. But here’s what we’re gonna do. We’re gonna do this plan called say more for tomorrow. We’re gonna go to your employer and you’re gonna tell them whenever you get a raise, whenever it is, next year, 2 years, 10 years, doesn’t matter when, 5% whatever the first 5% of money goes straight into this account. Well, within 15 years, these blue collar workers were saving an average of 15%, and the top 40% were saving 20%. When you save 20%, I mean, that’s the example of the guy who goes in and has got $70 million. He saved 20% over time. So anyone can do it. But what I would say to you is, you know, I went through a divorce. I met a woman, fell in love with her and fell in love with her kids. She’d been married twice before me, she was 12 years my senior. So I was 24 and had a 17 year-old son instantly, an 11 year-old, a five year-old, and then one on the way. Really great lady, but we’re completely different. No one tells you how to pick your partner. But I fell in love with the children, so I was like, “I don’t wann lose these kids, you know.” So I eventually decided to get divorced. When I got the divorce, it was not a happy divorce from the standpoint of if I try to give her half of everything, but they got eight times and a 10 times multiple on all my companies. In those days I didn’t have 31, I had like seven, and they were small companies. They weren’t billion dollar companies, they were like less than $100 million most of them. Tony: Some of them were only depend upon me, they were like a doctor. If I don’t show up, the whole thing falls apart. So I’m looking at this, I gotta pay her eight and 10 times, I gotta her $50 million. I mean, I didn’t have $50 million. So, I settled on $42 million. I had to pay her $42 million, and I didn’t have it. I started over at 39 years old and had to pay her, not only $42 million, but I had to pay her $1 million a year for 17 years. I was only married to her for 14 years, right? Tony: So I just paid that off a couple of years ago. The reason I tell you the story is in the beginning, I had to pay her a million dollars a year, plus I had to pay the taxes on it, before I ate. When I met her, she was broke. Now, I was broke. And I was the best at whatever I was doing. But the power of that was when I wouldn’t let go, when I finally said, “I must stop being angry. I’m just gonna automate it, let go,” my capacity grew tenfold. It’s like I never looked back. It was like because I had to come up with additional million dollars, I had to think bigger. I had to do things bigger. So I started creating new relationships, new partnerships, new businesses, and it made me grow to a five billion dollar a year company, set of companies, versus not even, you know, a little more than $100 million back in those days. So in eight years, my life has transformed because I put that tax on myself, and I’m vested heavily. I didn’t have the money to do it, but I did it anyway, because I had to. Nathan: Yeah, got you. That’s golden. So actually, let’s talk about your companies and switch gears. Nathan: I’d love to know, around leadership, and to build collectively, five billion dollars, what kind of people do you need to have around you as a leader? He goes, “Do you know how much our business increased in those four months?” I don’t remember the exact number, it was like 22% or 23% or something. He goes, “Do you know how much money you made me, and you got nothing?” He said, “Let me give you some advice, go find people that have some form of momentum that you can turn around and get a piece of that.” That’s how I changed. So what I look for were businesses that I felt tremendous emotional connection to, because I thought they touched people’s lives in some way, and I looked for partners that were geniuses but where I could bring my own genius to it, where one plus one equals five, or at least three, not two. By doing that, I got pieces of these different companies and then it just grew, and grew, and grew, and grew. So I’m in a virtual reality, a company called NextVR, and my partners are geniuses. We just locked down the exclusive for the NBA, so instead of “Monday Night Football,” we have “Tuesday Night NBA,” and you literally, it’s like you’re on the court. You can look, and feels like you can reach out and touch LeBron. It’s mind boggling. There’s no cords or computer, it’s all done off your phone with an app. It’s mind boggling. Tony: We also have the exclusive for “Live Nation” for all concerts, so you can be right there next to JayZ or Beyonce, you feel like you can touch them, right? I have a company that’s number one kind stem cells and whatever, a company that does genetics, you know, that’s just genius. I’ve got companies that are in the education space. I bought Ad Week, with a group of partners. I have my financial companies. So the diversity I have is mind boggling, but that’s also the secret to investing. You know, if you got all your eggs in one basket, there’s a problem. You need to make sure you run your business really successful, give it your all. Not start 20 of them. But once that business really is strong, and your investments are strong, then you can build a second one. Most people, they build a business and then it’s not going as well as they want, so they start another business because it feels more exciting. It’s like you have one child you’re not taking care of, so let’s have a second child, or a third child. It just doesn’t work. But the diversity of it also makes me excited. So I manage 12 of them actively, the others I have such great partners. The Major League Soccer have a new franchise in LA. I’m a partner in that. It’s called the LA Football Club, but my partner is Peter Guber, who owns the LA Dodgers, and owns the Golden State Warriors, and about as smart a human as you could ever have in the sports field. And then I bought, in the E-Sports field that’s mindboggling. We fill whole stadiums now, people watching people play video games, so I bought Team Liquid, of which my partners are Peter and everyone else. I mean, the opportunities are just amazing, because I’m partnering with people who have skills that are the best in the world, and I’m bringing mine. You combine them, you know, you get a greater impact. Nathan: I see. I’m curious, when it comes to focus versus having multiple businesses, how do you know when you’re ready to start to diversify? Tony: That’s a great question. When I was 32, 33, maybe 34, somewhere in that range, I was really frustrated because I loved what I do for a living, it’s emotional rewards gigantic, but it’s not a business that has a great deal of, you know, opportunity for maximizing profit because it’s a low-margin business. And I didn’t get into it like, what’s the best business to get in? It’s just, I’m an artist. I wanna help people change their lives. This is my mission. So I brought them all here in New York, had this incredible meeting. I’ll never forget. And I decided I wanted to add value, so I introduced them to each other. They all knew of each other. They’re all Kings of the Titans of businesses. Some were friends. Then I said, “Let me show you the good, the bad, the ugly, of my story.” So I told my entrepreneurial story from the very beginning: no money, the ups and downs the near-death experiences. And I was watching their eyes get this because a lot of them, they didn’t start businesses like that, right? Some of them started businesses by getting a billion dollar loan, one guy, right? He was able to do it. This financial backing. So I could see them getting more and more tense. Long story short, at the end they’re like, “Stop. Stop. Stop. You shouldn’t do any of these opportunities. They’re all wonderful opportunities, you’ve got to go back and maximize your business. You have to maximize your business.” One of the guys said, just been to one of my seminars, my reach the power within seminar. He told me, came up to me and said, “Tony, it’s the most incredible thing I’ve ever done in my life.” He goes, “Tony, you work so hard. You’re on stage 12-14 hours a day. I don’t know how you hold people’s attention. People won’t sit for a two-hour movie, three-hour movie, and you’ve got people…You’re never gonna wanna do this when you’re 42,” you know, I’m just 32. Same guy, three weeks later goes, “You’re not working hard enough on your business.” I’m like, “What the hell?” And what it was, was they all reacted because they’re used to a different type of business. One of the guys afterwards says, “Hey…,” I was near tears because I walked in thinking I had the greatest business opportunities in the world and I walked back feeling like I’m a piece of, you know what, right? But what I got on this conversation that changed my life was I hated it. I felt they didn’t understand. And they didn’t understand a bunch, but I said, “There’s got to be some truth in there.” Then I saw this story about this guy who spent, I think it was 17 years looking for the Spanish galleon, his name was Mel. I’m forgetting the last name, but he was very famous in the 1990s, 1980s. He, literally, made no money, found nothing. Like 16 years into it, he had to convince people give him more money. One of his, members of his crew died, it was the most brutal approach. How could you possibly keep going out there, looking for treasure, and not finding it for five years and not give it up? For 10, 16… I think he went 18, if remember correctly. He found a half a billion dollars’ worth of the gold. So I asked myself a question, I said, “What would make a guy go 16, 17, 18, years with no evidence of success, and keep doing it, and convince people to give him money, and keep going to work at seven day weeks?” He’d have to believe something different than other people. What would he have to believe? I thought, first, he’d have to believe the treasure is there. I didn’t believe the treasure was in my business, so I didn’t find it. Second, you’d have to believe I will find it. And third, you go that many years, you’d have to believe it’s worth it. I shifted those three beliefs in my business, and I once I’d committed completely to that business and nothing else, I grew the business like crazy and I ended up selling half that business for $200 million. The business that looked like it would never make anything. Tony: When I did that, I said, “Now I’m a success entrepreneur. Now I’ll take on some other companies,” because I’m not BSing myself. I’ve really built it. This idea to go and build nine companies, nice ego stroke. No way you can give them the focus that you need. But today, I can do more with my pinky than I used to be able to working 20-hour days, because I know more people, I have more context. I have more strategy. I have more tools. And so you’ve got to make sure you maximize something, and really make a real business. You wanna know your real test? Could you sell the business tomorrow for a significant multiple? If not, don’t start another business. Or get rid of this business, sell it and start something fresh. But most people are always looking for what’s easier, and it always looks easier when you really wanna do is maximize the business you’re in. Nathan: Yeah, that was awesome. Great story. Focus is key. Nathan: So, we have to work towards wrapping up. There’s a couple of things I really want to talk about. Loved the documentary on Netflix. But most people watch it, really get excited. I’m glad to hear your friends are that. Nathan: Yeah. I loved it. It was so well done. One thing I’ve noticed actually, and I just wanted to ask, I notice that you’re really focusing on your personal brand in a big way, where you did the Netflix, I can see you’re quite active on social, you’re producing content. Where is all this coming from? Tony: Well, it’s just, you know, modernizing and growing my companies, right? I looked at my companies, those I, at some point then had so many companies. I got a little distracted. I came back here and said, “This is my baby. This is what I love the most. What do we need to do?” There’s all these new resources: Instagram, and you know, Facebook Live, and all the things that you can tap into. I wanna help people as much as I can, so I poured tons of free content out there. Then if people wanna go deep, the only problem with free content, not free content, but just people go and they randomly do things, which I’m really glad, they get inspired. But I’m more of a strategist, and I believe in syntax. The dog bit Johnny, Johnny bit the dog. Same exact elements, different order, different experience, especially if you’re Johnny, right? S6o I build systems, but what I’ve done is put everything I can out so people can randomly pick whatever they want. But then if they wanna get serious, like people say, you know, I’m able to just read a book. I think it’s wonderful you read a book, inspired. This book, especially, I’m very proud of it, it’s great. But if you wanna learn how to swim, reading books are good for stage, but you probably wanna get in the water, right? You’ve got to get in the water, otherwise the book’s knowledge is worthless. And that is my favorite thing to do, because we need total immersion. When you go to an event for three or four days, day and night, and you’re there and you rewire everything, it’s not some pump up, it’s literally a changing of how your mind, and body, your habits work. That’s what changes lives. Nathan: From all the people you’ve met, all the amazingly, insanely successful, intelligent people that you know and have met and have learned from, because as you say, success leaves clues. Nathan: If you could give one piece of advice to our audience of aspiring, novel stage, entrepreneurs, millennials, might be running a business for five years, 10 years, only a couple of years, or just getting started, what’s the number one piece that you could share? Tony: I would say the most important thing, I’ll give you three. The most important thing first is if you’re gonna succeed in business, you have to know who your ideal client is. Who is the client that is your ideal that if you built your business on that, it would grow, if the economics of the economy dropped, they’d still buy from you? That’s the person you wanna cherish, you wanna fall in love with. You don’t wanna fall in love with your product, you wanna fall in love with your client, and you wanna know more about them than anybody else. Because I always say life is the dance between what you desire most, and what you fear most. So if you can expand your desires and break through your fears, you expand your life massively. So for the people that are really watching, I think the more you know about those needs, if you can do more for them than anybody else, then you go to second piece, which is, add more value than anyone in your industry. If you do more for others than anybody else, and you don’t just do it for a day, or a week, or a month, you do it…like I always tell people, most people overestimate what they’re gonna do in a year, but they underestimate what they can do in a decade, or two or three. If you do that, year after year, the word spreads and you start to build a brand. If you do that for a decade or more, you can start to actually dominate the industry. So you’ve got to know a thing about them, you’ve got to add the value, and you’ve got to find an irresistible offer. Tom Hsieh’s irresistible offer. He took a product…Quite frankly, product is not very good at all, but the offer is really good. Now, if I buy and wear these crappy shoes, you’ll get another pair, and you’ll give them to someone who doesn’t have shoes. I mean, I know a bunch of people that are doing over the glasses and things of that nature. Or $0.99 on iTunes. I mean, people are getting everything for free, why should I buy? Better finality, easy clear, but only 99 cents. That offer, Zappos, right, Tony Hsieh is a good friend of mine. He comes up and he joins the founders and they’re living in this little house in San Francisco. They’re totally frustrated, we’ll spend all this money, and we’re trying to sell women’s shoes online. It’s not working, how come? They got to try them on, and well, they aren’t doing it because they don’t wanna spend the money on shipping it. Tony Hsieh changes the offer, he says, “Look, we’re gonna let people order as many shoes as they want, we’re gonna pay for all the shipping. If they don’t like anything, then they can send it back, we’ll pay the shipping back.” Now, if you’re the investor in the company, what would you say to that? “Are you crazy? We’re gonna go bankrupt.” Because you don’t understand your ideal customer, these women. They have a different relationship with shoes than you and I do. Women choose equal happiness. A woman could put on one shoe, she’s one woman. She changes shoes, she’s another woman, right? And he said, “You’re gonna get the shoes, and we’ll pay to get them there. They’re not gonna send them back 99% of the time, because if they like the shoe, even if it doesn’t fit, they’ll convince themselves it’ll fit in the future. When I talk about this in like big seminars, women are laughing and raising their hands and going yeah, high five, and it’s true. He built a business he sold for $1.2 billion, and he still runs it because he wasn’t doing it for the money. He loved building the culture and doing this, but he came up with that irresistible offer. So know more about them, make sure you add value massively, have an irresistible offer. Would be three things I’d start with. I never give you a fourth one, fourth in, you better know your numbers, right? I do these boot camps and I bring in a guy that’s just a genius who gives them like an MBA in five hours. Sounds like an exaggeration, but it’s not. He’s been billions of dollars on the deals, and he teaches them how to know the numbers, because most entrepreneurs, that’s not their skill. They’re good at marketing or creating a product, or innovating, or selling, or whatever, but the financials is why most people buy because you don’t want an accountant, you need a CFO. And yet when you’re a small company, you can’t afford a CFO, who is, you know, $400,000. So understanding your numbers, and understanding that profit is a theory, right? You get a big profit and no cash. You have to understand how that works, and you’ve got to just take the time to get that skill so that numbers become intelligence. Because if you have the right numbers and you know what they mean, now you can make better decisions. You make better decisions, you’re gonna win. Nathan: Awesome. Well look, thank you so much for your time, Tony. Nathan: Anyone that would like to grab a copy of “Unshakable,” where is the best place people can go? Tony: They can go to any books, you know, around the world or Amazon, or Barnes and Noble, wherever you wanna go, it’s available. And again, you’ll be feeding 50 people because we’re donating 100% of profits. The last book we sold a million copies in hard back, I’m sure we’ll do that again. But even if we don’t, I’m donating the same amount. But you’ll be helping 50 people while you’re helping yourself. Nathan: That’s amazing. Look, thank you so much, for your time. Tony: Thank you, man. Good to see you. Fabulous interview! Tony is a hero of mine. I model much of what I do on his morning routine, and his energy maintenance. Even down to the cryotherapy bit. Although I do the bush league Cryo LOL, jumping into an icy cold shower every morning. Immense joy is found in giving. Look at this comment. As I am watching the video, I can get massive value from you and Tony talking about emotional wealth, and enjoy that ride, but I really get off on giving through my comments. Feels amazing. And the bonus? I get crazy exposure, expanding my online reach, and yes spreading the word on the Blogging From Paradise brand. Good note being unshakeable in regards to fear. I fear less and less daily. I still fear. I still get afraid but not only do I fear less, I feel the fear and do it anyway as Tony said AND I also dive more deeply into my strongest, most powerful terrors. Regularly. Which helps me have more fun, impact more folks, write more eBooks and make more money. Win-win for all of us. It is fun for all of us too.